In this sector TREEESSE Progetti places special focus on its engineering in order to manage a product with very short processing cycles and high perishing risk in the best manner. Centralized supervision and distributed automation are the typical solutions that are implemented. TREESSE Progetti has perfected a hardware and software architecture that enables controlling all the delicate phases, such as pasteurization, standardization and fermentation of the semi-processed products. Thanks to their close cooperation with international manufacturers, the company has managed to create high tech standard interface solutions, working on communications networks rather than cabled signals. 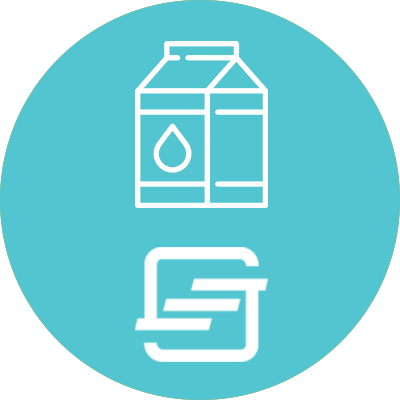 TREESSE Progetti places further focus on receiving and processing the milk, creating the first step in a symbiosis between automation and the company ERP system, enabling the client to track all the production aspects in detail. High level technical preparation is fundamental to enable seemingly different worlds to effectively communicate with each other.